Since I'm on a chili kick this winter, I needed to find a meatless option for us for Fridays. We usually give up meat on Fridays year round, but Lent started this week, so now it's officially no meat on those days. 1. Saute pepper and onion in olive oil in a Dutch oven on medium heat. Once veggies are tender, add 1/2 tsp. garlic powder, and cook for 2 minutes, stirring frequently. 2. Add broth, tomato sauce, and beans. Bring to a boil. 3. Stir in remaining spices, and reduce heat. Simmer, uncovered, for 20-30 minutes. 4. Serve with sour cream, green onions, cheese, corn bread, corn casserole, tortilla or corn chips, etc. Enjoy! Notes: To freeze, complete #1. Then, place the veggie mixture and remaining ingredients in a labelled freezer safe bag. Seal and lay flat on a cookie sheet to freeze. 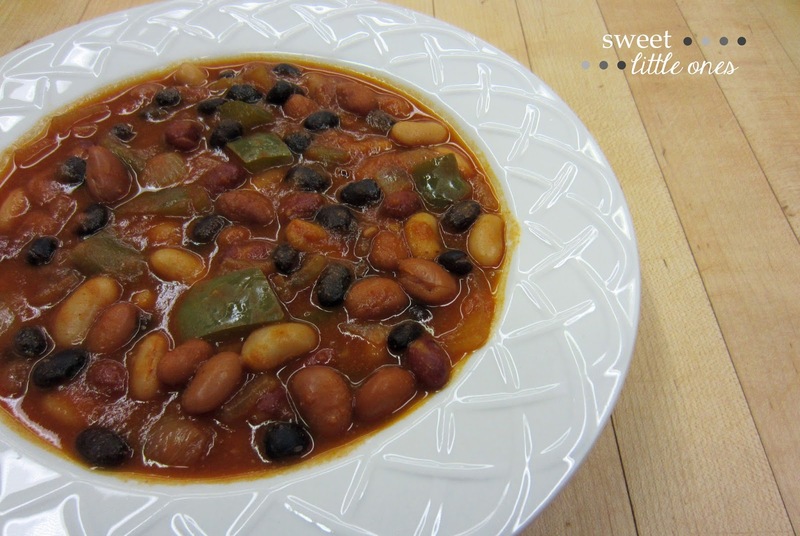 I have a tasty Cajun corn casserole that I make that goes perfectly with this chili. It's our fave combo! P.S. Come back next week! We're going to be posting a huge list of links to our favorite meatless recipes for every meal of the day. It'll be a great round up of recipes to use for Fridays during Lent! Yum!!! Chili is so perfect for this time of year when it's so darn cold outside!! Yum! I love a good chili recipe! Yum! I really like white beans in my chili. I've been drawn to more vegetarian meals lately and love how filling chili is without it. You almost don't even really need meat at all! Sounds so yummy!!!! I love a good chili recipe. 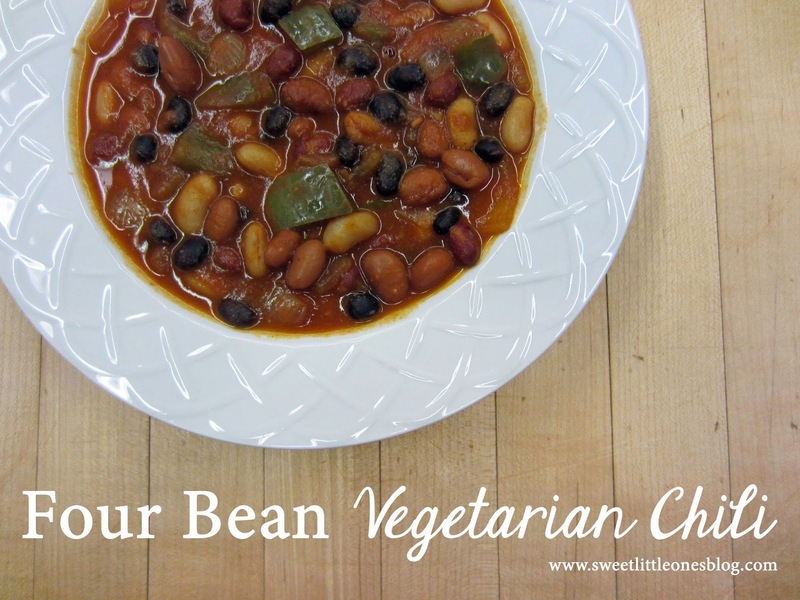 We're vegetarians and I agree that the secret to a good veggie chili is the variety of beans! Plus, some ground up dried mushrooms. Sounds weird, but so yummy!